While you may not have got the full benefits of HDTV while watching your local SD cable signal, TataSky or DishTV, your PS3 and XBox experience surely must have been elevated to new and glorious high-def levels on your plasma/LCD. And if you are the type who goes through the hassle of documenting your activities for posterity, then the grainy YouTube-type video that you’ve been shooting on your new, wondrous, state-of-the-art cellphone won’t just cut it. 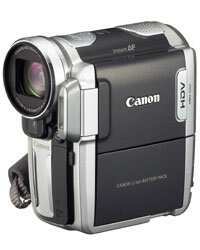 What’s the first thing to decide when shopping for a camcorder? High def? Most definitely. 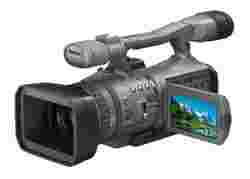 Though it may be a little more expensive, but just as HDTVs are dropping in price, so are HD camcorders. And, more importantly, HDTV’s more faithful reproduction: 1,080 lines of resolution recorded at up to 30 frames a second (a.k.a. “True HD") and 720 lines of resolution recorded at up to 60 frames a second makes heavier demands on the camcorder’s resolution and colour capacity. However, you will need a TV that’s roughly 40 inches or bigger to perceptibly discern the difference in quality. OK, once you’ve got cost, size, and whether it comes in “piano black with chrome accents" considerations out of the way, start by looking at the image sensor, which, basically turns light into digital information. CCD, or charge couple device, is the most common format, and larger CCDs absorb more light and hence provide better image and colour quality. The best camcorders actually have multiple CCDs: one red, one blue, one white. A 3-CCD camcorder splits the image optically and feeds colour-filtered versions of the same scene to three CCD sensors simultaneously. The camcorder thus records a true red-green-blue (RGB) value for each pixel. Lastly, the more pixels the sensor can generate, the better it is. Though there are several media to record on, the cheap and reliable mini-DV tape is still the most popular and standard cassettes hold about an hour of video. Another option is the mini-DVD, which you can pop into any DVD player and navigate far easier through scenes rather than endlessly forwarding and rewinding a tape. If you’re an early adopter, you could opt for a camcorder with a built-in hard drive instead of removable media. The 3-CCD JVC Everio GZ-HD7 is a high-def camcorder that holds up to five hours of 1920 x 1080i video recording in a capacious 60GB hard drive. Available only in phoren, or with your favourite neighbourhood smuggler, it retails for US$1,169 last time I looked it up at Amazon. What I like most about the hard-drive cameras is the speed of transferring footage to the computer—drag and drop to the PC, just like photographs from a digital camera. Audio is key to a complete video experience, so pay heed to what audio features are offered. An external microphone which can be plugged in can dramatically improve the sound quality on your video footage. A hot shoe on top of the camcorder will allow you to attach a small light for low-light scenes.